Unique, Dynamic & Resourceful...The Urbandale Chamber of Commerce is a membership-based business organization that serves its membership and business community by promoting economic development business growth and a high quality of life. The Urbandale Chamber is the ONLY 5 star accredited Chamber of Commerce in Central Iowa, placing the Urbandale Chamber in the top 1% of Chambers of Commerce in the country. The role of a Chamber is to serve, protect and promote its members. Every Chamber is different so when you've seen one Chamber, you've seen one Chamber. 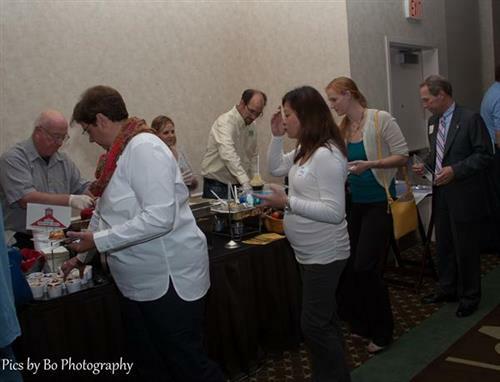 Urbandale Chamber of Commerce membership provides businesses with promotion, a voice for issues impacting business, networking and involvement opportunities to connect, and with a variety of business services. Members receive a diverse range of benefits because businesses join Chambers for different reasons. To see a full list of benefits, please visit the page labeled ''Membership Benefits'' on uniquelyurbandale.com or the direct link is: http://www.uniquelyurbandale.com/chamber/benefits.htm. We are located at the corner of 100th Street and Justin Drive in Urbandale. Our office is South of Douglas and North of Hickman on the West side of the road.